Want to see big results? Odds On Promotions makes it easy to drive traffic and sales with insured prize contests and promotions that will engage your customers, generate traffic, and close more sales. Here are just a few ideas for driving big revenue and giving away big money! It's a real party with Odds On’s New Years Eve themed Zoom Ball. Players simply press the button activating the ball blower and root for the colored balls to fill the Zoom Zone. 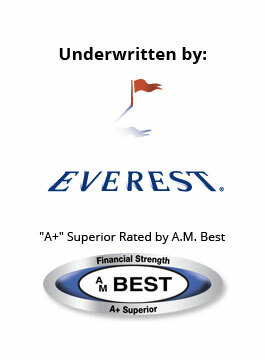 Contest insurance is available for multiple levels and covers up to $1,000,000. 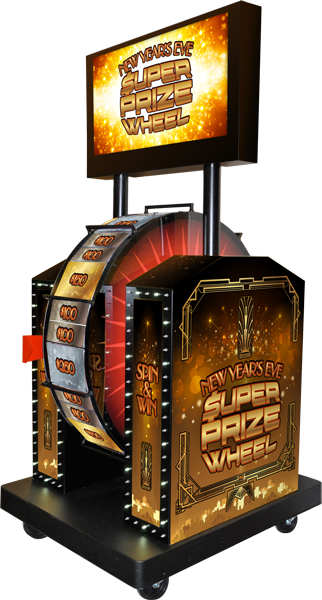 All of Odds On's new Deluxe Zoom Ball games feature a programmable printer for producing prize coupons, a telescoping LED sign, matching 3-sided magnetic or vinyl decorative base wraps and a customizable backlit sign. Get your players shouting “3-2-1-Millionaire!” with Odds On’s Countdown to Cash game! Starting at the top of the game board, contestants select one of three envelopes on each row. If they select the correct envelope, they move closer to the grand prize, otherwise they receive a fabulous secondary prize. Make it all the way to “Happy New Year”, and they win the grand prize, paid for by Odds On! 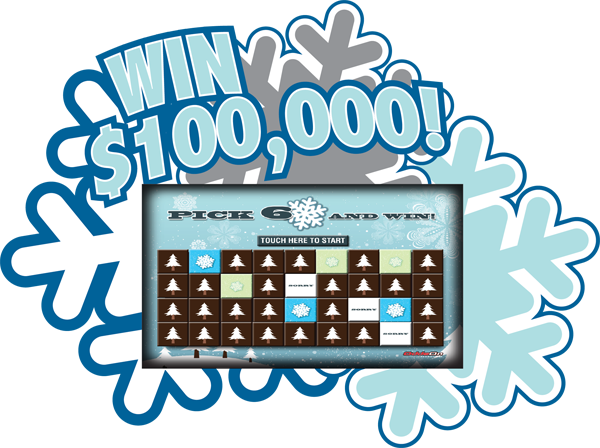 What better way to drive traffic or reward consumers than giving them the chance to win $1,000,000 or a series of cool gifts! With Odds On’s fast-paced and action-packed Blizzard of Cash Zoom Ball, if your player lands 5 or 6 winning balls in the Zoom Zone, they’ll win cash and prizes worth up to $1,000,000 - and Odds On Promotions will write the check. Award iPads, HDTVs, points, slot play, and other consolation prizes based on how many balls end up in the Zoom Zone. Extend the life of your Pick the Pros promotion by giving selected qualifiers the chance to pick the winners of the NFL playoffs. If a lucky fan gets them all right, Odds On will write the check! January 17 is Ben Franklin’s Birthday. Celebrate it all month long by giving your customers the chance to win a Prize Vault full of “Benjamins” (aka $100 bills) with every visit to your location. If a lucky customer can guess the winning combination of digits, the Vault will open and they’ll score your grand prize. 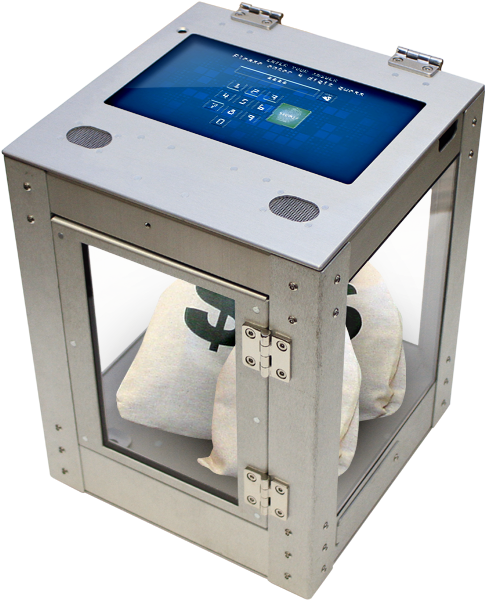 Prize Vault can be programed to award consolation prizes based on your expected number of participants. 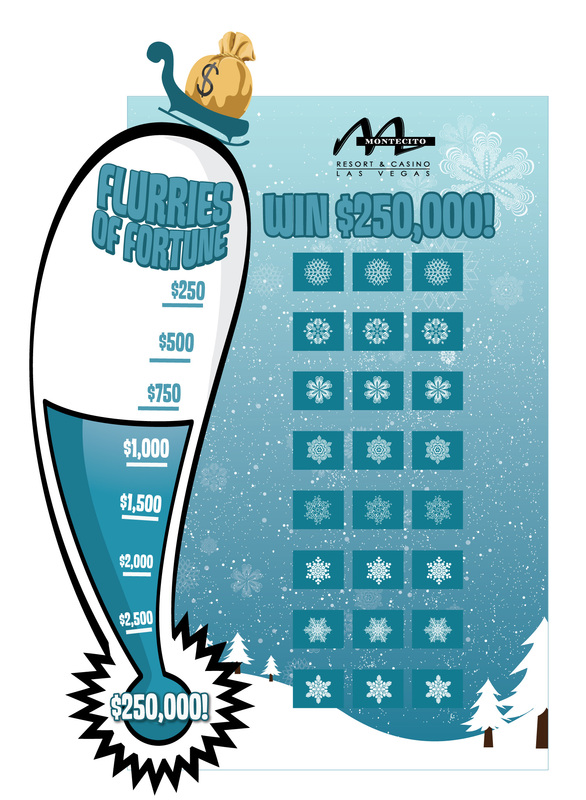 Shower your customers in cash and prizes this January with Odds On Promotions’ Flurries of Fortune Lucky Envelope game! If one of your contestants can select a winning combination of Lucky Envelopes, they will score your grand prize and Odds On Promotions will pick up the tab. Attract additional attention by incorporating a customized game board featuring your logo and consolation prizes.